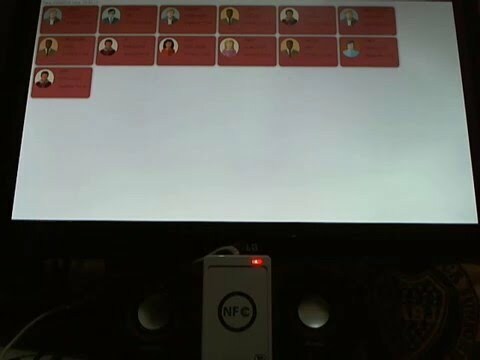 After doing all the steps and writing “dust Nfc-scan-device -v” everything seemed to work fine because I get the same result as you do and the terminal says that there is one device found, etc. The problem is that although the raspberry recognizes the device the led light doesn’t turn on and the NFC reader doesn’t start reading the tags. Do You are using the nodejs to read the tag? The nodejs I start nfc reader in this part of code bellow. So many useful this post. Do not worry. Your comment is welcome. Where can I improve in your opinion? you have goot quitе a lot of leeway in setting your personal pay rates. This issue ccan resault inn significantly more money for you. com esse incrível trabalho, vou ler o resto do site. Thank you. If you have any suggestion, please let me know! Yes! I’m using wp. You dont need to know nothing about web design. You can see many instruction to start on wp web site. weblog and wished to mention that I’ve really enjoyed surfing around your blog posts. А motivating discussion іs worth comment. it might not bе a taboo matter but typically people ɗon’t talk about such subjeｃtѕ. Thank you. The time is short in this moment. But I’ll usu this technology newly. So we’ll havr a new post. Give me more information about your doubts. Thank you. If you have any suggestion, let me know! Feel free to comment and post your ideas! Hi all, here every person is sharing such experience, therefore it’s pleasant to read this webpage, and I used to pay a visit this website everyday. Whats up very cool web site!! Man .. Excellent .. Wonderful .. I’ll bookmark your blog and take the feeds additionally? I am glad to search out so many useful info right here in the post, we’d like work out extra strategies in this regard, thanks for sharing. . . . . . I hope be help you! Perfeito ! Onde posso baixar os fontes deste tutorial ! Nota 10 ! Caso tenha dificuldades me avisa e eu te dou um suporte.